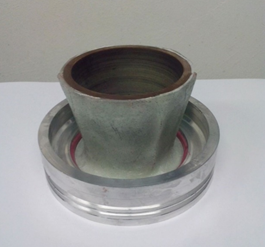 Develop a supersonic technology demonstrator for future DARE space flight, with multiple DARE sub-teams, including active stabilization and high speed recovery. 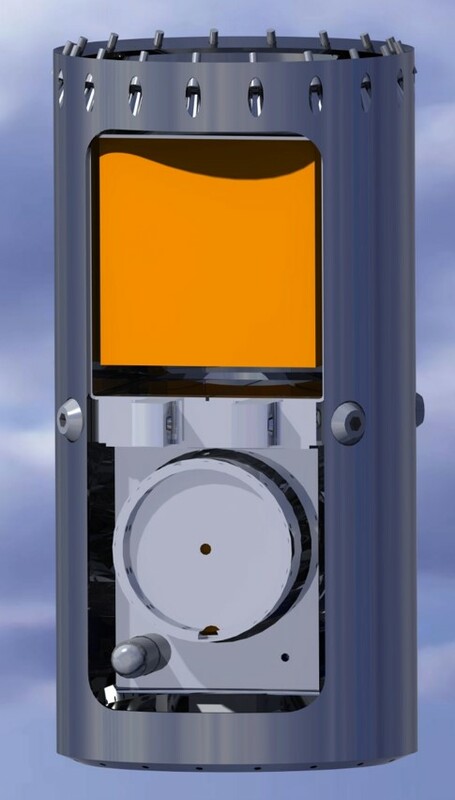 Intended as a stepping stone technology demonstrator for future DARE space flight, project Aether aims to test a supersonic rocket that will showcase active aerodynamic stabilization through the use of steerable wings, and deploy a new high speed recovery concept by ejecting a drogue chute via a high pressure cold-gas mortar. To make these technologies ready in time, Aether will be powered by the biggest solid rocket engine ever developed by DARE, the Asimov engine. All sections are connected via a modular coupler system, which allows for watertight sealing and easy assembling during the launch campaign. The nose cone of the Aether launcher houses the brain of the rocket, namely the flight computer, which is designed by the Electronics Team and ACT and is based on the DARE General Flight Electronics. 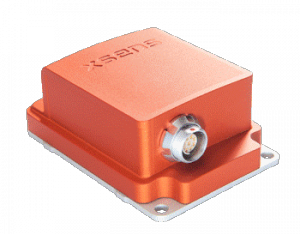 The flight computer is designed such that it is compatible with ACT-specific components, such as the MTi-100 Inertial Measurement Unit (IMU) sponsored by XSENS. 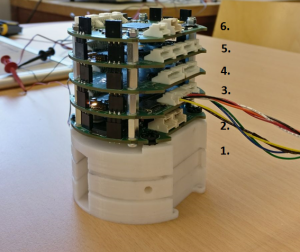 After having successfully tested the Stability Augmentation System of the CanSat V7S developed by the Advanced Control Team, the team is upscaling the canard system for supersonic speeds. Project Aether is the first DARE rocket which features supersonic active stabilisation. 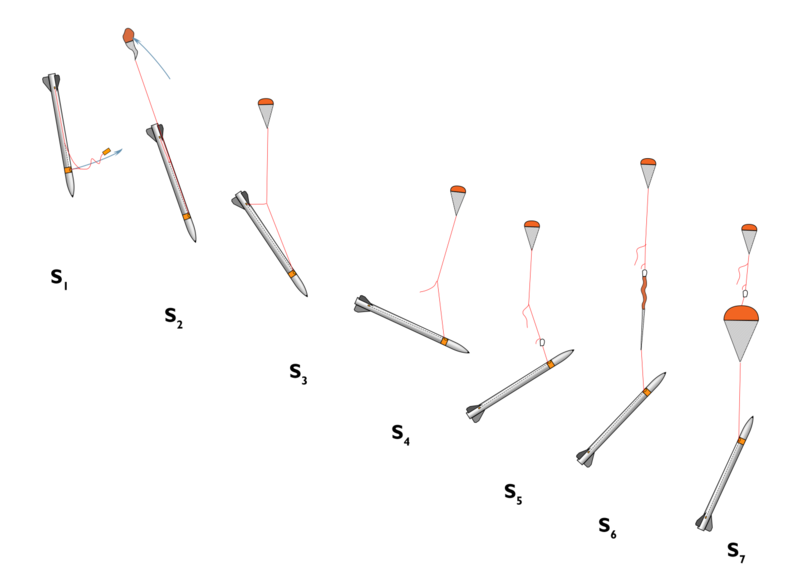 The canard system is mechanically limited to do roll-stabilization only because the ACT still needs to test full control on a small scale. Via an integrated gearing system, the canards will always rotate into the same direction, which improves the safety of this system. 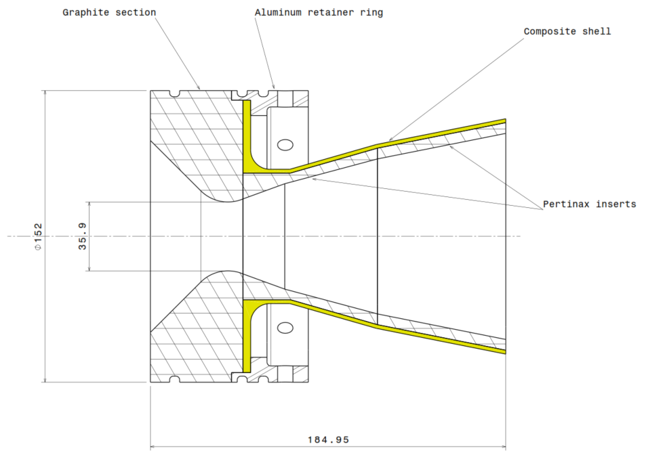 The Aerodynamics department within the ACT is performing dedicated Computational Fluid Dynamics (CFD) simulations, to study the flow of the canards in supersonic speeds and to optimise the design. Stratos II+ recovery system. It uses a drogue parachute deployed by a high-speed cold-gas parachute deployment device (PDD), which gives it a wider design envelope than the system used for Stratos II+. In addition, it solves much of the multibody dynamics, which are notoriously difficult. 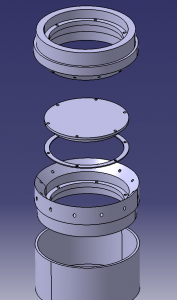 The drogue chute will be deployed at high velocities, and is connected to the bottom of the rocket in such a manner, that it will turn the rocket into a flat spin. 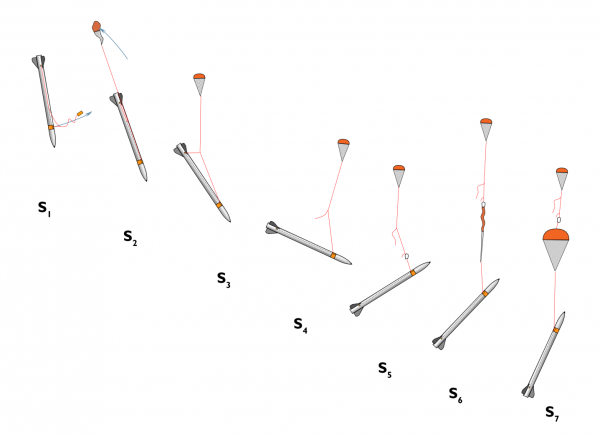 By doing so, the rockets’ velocity will decrease even more, and results in a stable descent. The Instrumentation Section houses the main sensor of the Aether control system, the XSENS Inertial Measurement Unit (IMU). 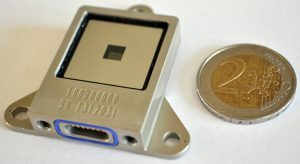 This sensor is able to measure the attitude of the rocket during flight, which is an input for the flight control algorithms to actuate the canards. 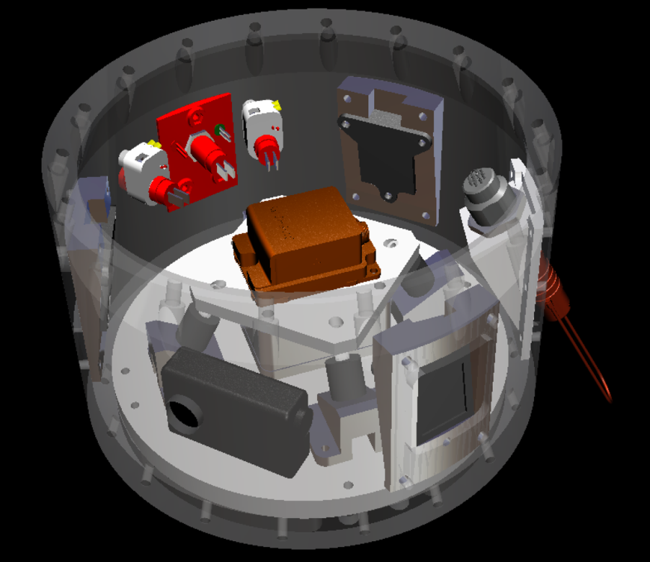 The location of the IMU is at the Instrumentation Section, such that it is closer to the center of gravity of the rocket. A second sensor which is placed in the Instrumentation Section is the LENS BiSon64 Sun Sensor. 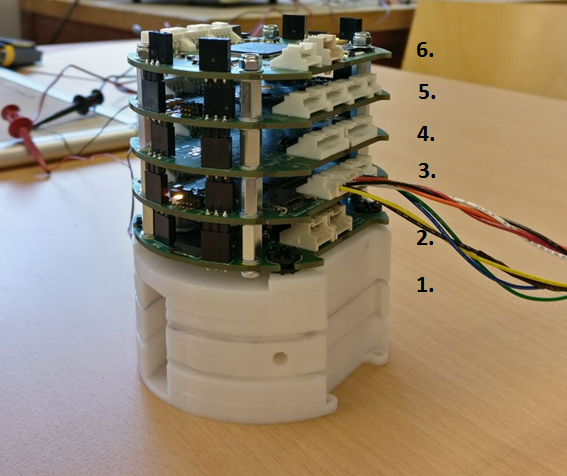 The team is investigating if this sensor can be used to determine the attitude of the rocket for the control algorithms. Additional components which will be installed in this section are cameras, and a data connection cable to monitor the entire state of the rocket during count down. The propulsion section is the casing around the engine, which includes attachments for the bottom fins. 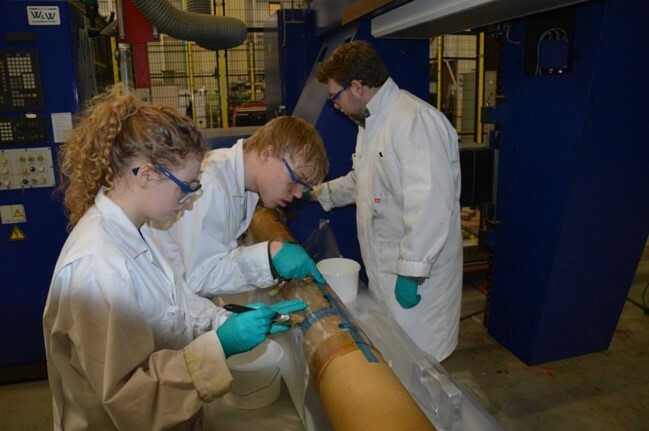 This part of the rocket will be made completely out of composites, which makes it the first large rocket within DARE which extensively uses composite materials. The Capsule & Recovery Team is investigating techniques to make the propulsion section completely out of composite material including the fins, which brings challenges when it comes to attaching composite fins to composite tube. 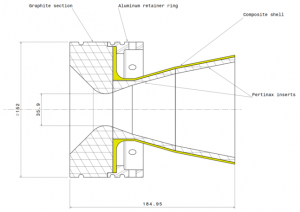 Cleaver methods such as using local integrated aluminum reinforcement rings are considered as a feasible solution to guarantee a solid connection between the fins and tube, to cope with the aerodynamic loads acting on the fins. 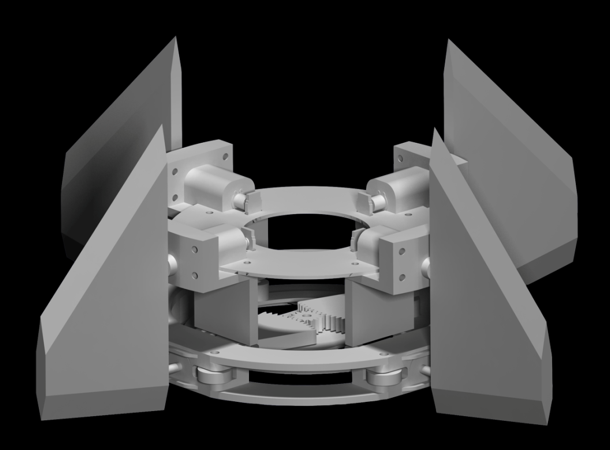 The propulsion section allows to easily slide the DXS-Asimov solid engine into it, which facilitates the assembling process during the launch campaign. 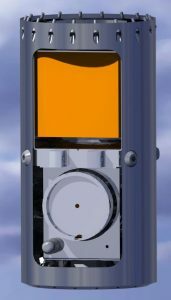 Via the modular connection interfaces, the top part of the rocket is attached to the propulsion section. To ensure that Aether will lift-off and reaches supersonic velocity, the rocket is powered by the biggest solid rocket motor ever developed by DARE: the DXS-Asimov. The DXS-Asimov is derived from the Leonidas 5 engine, the previous large engine of the Solid Propulsion Team. 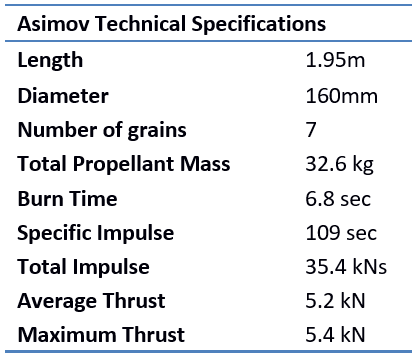 To ensure that the engine meets its theoretical performance, various single grain motor (SGM) tests and full-scale motor (FSM) tests are conducted during the Aether development process.